Made of recyclable, high-density polyethylene and is solvent-resistant. 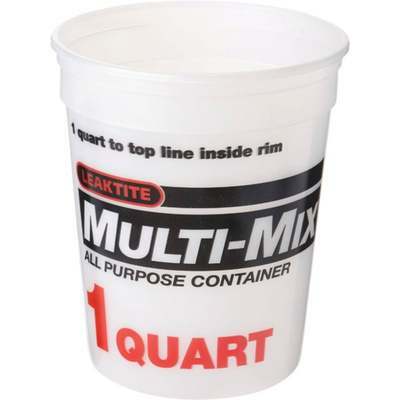 Strong side walls have visible quart and liter measurements. Tough seamless construction. Reusable. Convenient for almost any household mixing job. Lids are available to convert the containers into handy storage units. White.